No parameters. Out of the Box. Pushing the Envelope. Creativity. Ingenuity.  David Samdperil is the owner of Track Seven Events. Beginning in 1999, David built a business based on music and DJing, and quickly grew it to a total event design and production experience—including large-scale props and sets, lighting, draping, sound and more. Since the first NYC-themed design that consisted of a 10 foot Statue of Liberty, David has continued to push boundaries to make his clients’ dream visions become reality designs. As a client, you will work with David as he executes the theme development, creates floor plans, and designs the look, feel and sound of your event. He is there with you every step of the way to ensure your vision has been heard, interpreted and executed. He is often there on the day of your event setting up. 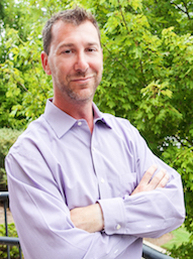 David loves that in this industry and with his clients there is unlimited creative potential. He believes that often times, that which seems the most “outlandish” can end up being the most amazing. Heather is our Director of Operations. Since 2008 she has been involved in various forms of hospitality and event planning work, most of which revolved around managing Atlanta’s restaurant crowd, or the needs of select sports organizations at the club and college level. Heather joined the Track Seven Events team in 2016, after graduating from Penn State University with a Bachelor’s degree in Corporate and Recreational Event Planning and a minor in Business. While at Penn State she played Division 1 Women’s Lacrosse and had many opportunities to participate in some premier events and elite venues (her favorite being THON, which raised over $9M for Children’s Cancer). Through those experiences in college, her passion for creative, big events all started.